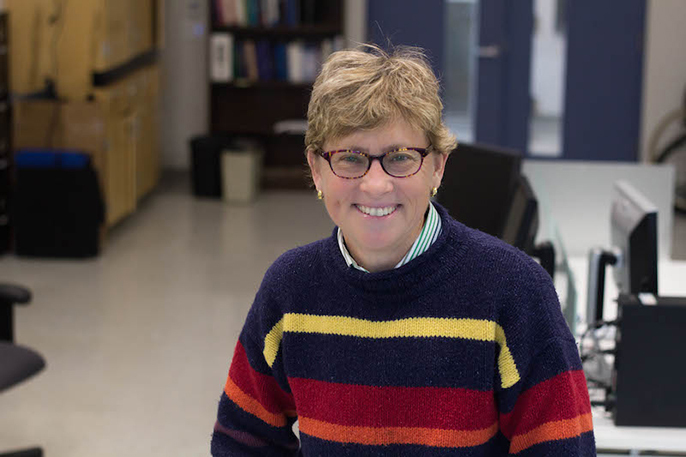 UC Davis civil and environmental engineering professor Deb Niemeier is among 11 UC researchers elected to the National Academy of Engineering. Eleven University of California researchers have been elected to the National Academy of Engineering, among the highest honors in the profession. The awardees represent three UC campuses — UC Berkeley, UC Davis and UCLA – and all three UC-affiliated laboratories — Lawrence Berkeley National Laboratory, Lawrence Livermore National Laboratory and Los Alamos National Laboratory. The academy announced the 2017 class of 84 members and 22 foreign members on Feb. 8. The new members will be formally inducted in a ceremony at the academy’s annual meeting, to be held in October in Washington, D.C.
Tsu-Jae King Liu: A TSMC Distinguished Professor in Microelectronics, she was recognized “for contributions to the fin field effect transistor (FinFET) and its application to nanometer complementary metal-oxide-semiconductor (CMOS) technology.” She studies nanometer-scale logic and memory devices, and advanced materials, process technology and devices for energy-efficient electronics. Katherine Yelick: A professor of electrical engineering and computer science at UC Berkeley and associate laboratory director for computing sciences at Berkeley Lab, she was recognized “for software innovation and leadership in high-performance computing.” Her research interests include parallel programming languages, automatic performance tuning, performance analysis, parallel algorithms and optimizing compilers. Ross Boulanger: A civil and environmental engineering professor, he was honored “for contributions to geotechnical earthquake engineering and the development of procedures for evaluating seismic behavior of soil-structure systems.” He studies how soils and structures on top of them, such as buildings, bridges and dams, respond to earthquakes. He is director of the UC Davis Center for Geotechnical Modeling, which uses a 60-foot centrifuge to simulate soil conditions during earthquakes. Deb Niemeier: A civil and environmental engineering professor, she was recognized for “developing groundbreaking tools to characterize the impact of transportation emissions on air quality and environmental justice.” Her work combines studies of vehicle emissions, air quality, transportation modeling and the impacts of air pollution on communities. She is founding director of the Sustainable Design Academy at UC Davis, former chair of the Department of Civil and Environmental Engineering, and former director of the John Muir Institute of the Environment at UC Davis. Jason Cong: A Distinguished Chancellor’s Professor of Computer Science, he was recognized “for pioneering contributions to application-specific programmable logic via innovations in field programmable gate array (FPGA) synthesis.” He has led research in electronic design automation, energy-efficient computing, customized computing for big data applications and highly scalable algorithms. In particular, FPGAs designed by his synthesis algorithms are now key components of the world’s communication and computation infrastructures. He is the director of the National Science Foundation-funded Center for Domain Specific Computing and leads the VLSI Architecture, Synthesis and Technology Laboratory at UCLA. He also holds a faculty appointment in the electrical engineering department. Behzad Razavi: A Chancellor’s Professor of Electrical Engineering, he was recognized “for contributions to low-power broadband communication circuits.” He is a pioneer in the design of high-speed, complementary, metal-oxide semiconductor (CMOS) communication circuits used in high-speed internet transceivers. His work in CMOS technology has directly impacted the electronics that power the internet. He is the director of the Communications Circuits Laboratory at UCLA. George Varghese: A Chancellor’s Professor of Computer Science, he was recognized “for network algorithmics that make the internet faster, more secure and more reliable.” He has seen several of the algorithms he helped develop appear in commercial systems, including for Cisco and Microsoft Windows. His current research interest is on network verification — treating networks as mathematical objects and building tools to either prove properties about large clouds or discover bugs as counterexamples. Robert Budnitz: A staff scientist in the energy geosciences division, he was recognized “for advancement of seismic probabilistic risk assessments and their application to nuclear power facilities.” He works on nuclear power safety and security and radioactive waste management. Gerbrand Ceder: See above, under UC Berkeley. Katherine Yelick: See above, under UC Berkeley. George Gray III: A laboratory fellow, he was recognized “for contributions to the understanding of the dynamic and shock-loading deformation and damage response of materials.” He has directed a research team working on investigations of the dynamic constitutive and damage response of materials. He conducts fundamental, applied and focused programmatic research on materials and structures, in particular in response to high-strain-rate and shock deformation. His research is focused on experimental and modeling studies of substructure evolution and mechanical response of materials.